Samsung's upcoming Gear device will be a smart watch - and will be Samsung's 6th generation Gear (which is pretty amazing considering that the company's first-gen Gear was released less than two years ago). It is not surprising Samsung is adopting a round display this time. We've seen several such watches (including the Moto 360, LG's G Watch R, Huawei's Watch and others) - and most consumers seem to prefer the classic round watch design. It's highly likely that Samsung will adopt a circular flexible OLED display, which will be the first such display produced by SDC. 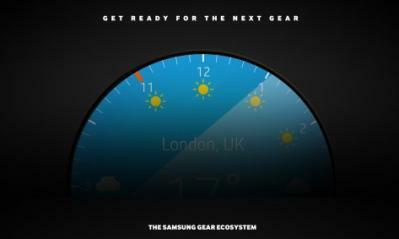 Samsung's Galaxy Gear 2 to feature a flexible OLED and a new design?